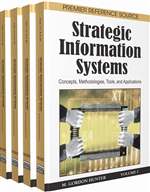 This chapter discusses a systems methodology called strategic assumption surfacing and testing (SAST) that was used to understand the design and deployment of information systems in the healthcare context. It is based on the experiences of conducting SAST with a group of healthcare professionals, working in the National Health Service (NHS) in England. This application of SAST in the NHS setting highlighted deep politico-cultural concerns in the organizational setting, and it helped towards the conception of a normative inclusive approach for health informatics design and deployment. This approach introduces the understanding that the development of information systems in healthcare is a complex agenda, the success of which demands the active involvement of all stakeholders through all the key stages of the process. Critical perspectives on SAST have also been considered and the assumptions fostered towards arriving at the conclusions, have been highlighted.